Wuhan, March 24, 2017. Landing Med is pleased to announce that it has entered into a collaborative agreement with DNA laboratories from Kuala Lumpur, Malaysia to establish its presence in the region, which will include Indonesia and Myanmar. This agreement is a first in a series of future agreements between two companies. “We are very pleased to offer a comprehensive laboratory service for cervical cancer screening which will now include Landing’s scanning platform Cyto System. 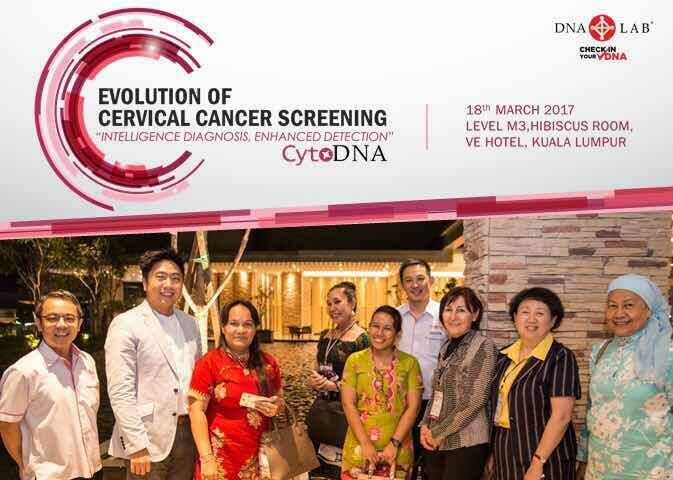 The platform combines TBS and DNA ploidy analysis for cervical cancer screening and will enhance our laboratory test offerings in Malaysia. Through our affiliated partners in Indonesia and Myanmar we will bring this technology in the entire region where technology such as Landing’s is very much needed,” said Calvin Thien, COO of DNA Laboratories. “Our automated combined quantitative and qualitative Landing Cyto System platform makes Landing scanner very suitable and economical for mass cervical cancer screening particularly in the places without expert pathologists. Collaborating with DNA laboratories will also include bringing HPV detection expertise to our own laboratory offerings in the near future. Our market research shows tremendous need for services such as ours, and we look forward to the exciting work ahead,” says Dr. Xiaorong Sun, Founder and CEO of Landing Med. The company’s platform is based on measuring DNA abnormalities in brush cytology samples with computer assistance, as well as computer analysis of cell morphology on the same slide. Such analysis can indicate precancerous or cancerous changes in cell nuclei. The Landing Cyto System can be used as a standalone platform in screening program or can be added as a complementary testing in the places where HPV is the only test available. Digitalization of images allows also cloud computing and use, which already started in China in Q4 of 2016. “HPV can only determine presence of virus therefore cytology is still a method of choice to guide medical interventions, particularly when we add a measurements such as ours to those analysis,” Dr. Sun further stated.